What, if anything, can be done to improve election integrity? An unfolding investigation by election officials into allegations of "concerted fraudulent" absentee mail-in ballots in North Carolina has roiled one of the country’s last unresolved midterm House races, increasing the possibility that a new contest could be ordered. The big picture: The allegations leveled against the campaign of Republican Mark Harris, who holds an unofficial 905-vote lead over his Democratic opponent Dan McCready, run counter to the baseless claims of rampant voter fraud by Democrats often trumpeted by President Trump and other Republican officials. What we know: The investigation by the North Carolina Board of Elections comes after it declined to certify results for the 9th congressional district race last month, citing "claims of numerous irregularities and concerted fraudulent activities related to absentee by-mail ballots." Leslie McCrae Dowless, who worked for Harris' campaign as a contractor, is reportedly at the center of the probe. 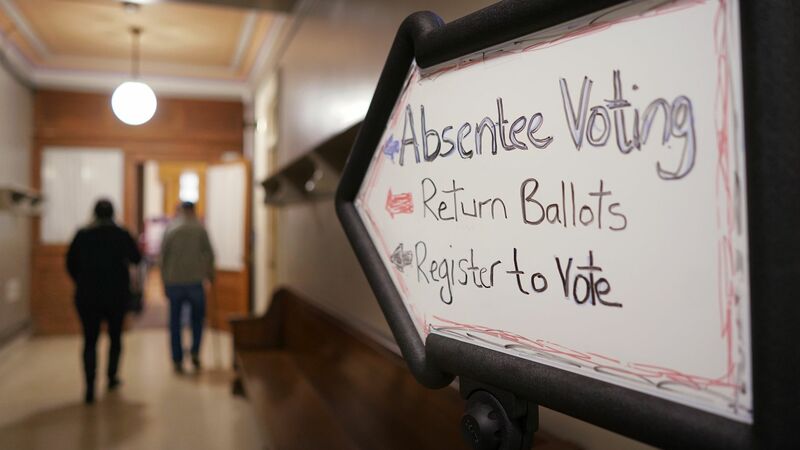 He has been accused of collecting and filling out hundreds of voters’ absentee ballots — illegal in a state that mandates all absentee ballot envelopes must be signed by two witnesses and dropped off by voters or their close relatives. Reports from WSOC and Popular Information revealed an unusual number of returned ballots in Bladen County signed by the same witnesses. One woman who signed 28 ballots as a witness told WSOC that Dowless paid her $75 to $100 a week to pick up absentee ballots. She said he didn’t inform her the practice was illegal. Dowless has denied any wrongdoing, though the AP reports that Bladen's elections board has recorded that he submitted over 500 ballots. An analysis by Catawba College political science professor Michael Bitzer found that McCready won the absentee vote in seven of the eight counties that make up the House seat — but not Bladen County. In Bladen, just 19% of accepted absentee mail ballots were cast by Republicans, but Harris still won more than 60% of the accepted absentee mail vote there. Bitzer writes, "Harris would have also received almost all the registered unaffiliated voters and/or some Democratic registered voters to make it to 62 percent of the vote." What they're saying: Incoming House Majority Leader Steny Hoyer told reporters Tuesday that Democrats could refuse to seat Harris until questions in the case are resolved. Under law, the House has the authority to investigate and propose a solution. Meanwhile, Trump and national Republicans have largely remained silent. But Robin Hayes, chair of the North Carolina Republican Party, urged the state election board to certify Harris as the winner "while the investigation continues." What's next: The election board will hold a hearing on the allegations on or before Dec. 21. It could call a new election if it determines that the irregularities have tainted the race's result and cast doubts on its fairness.